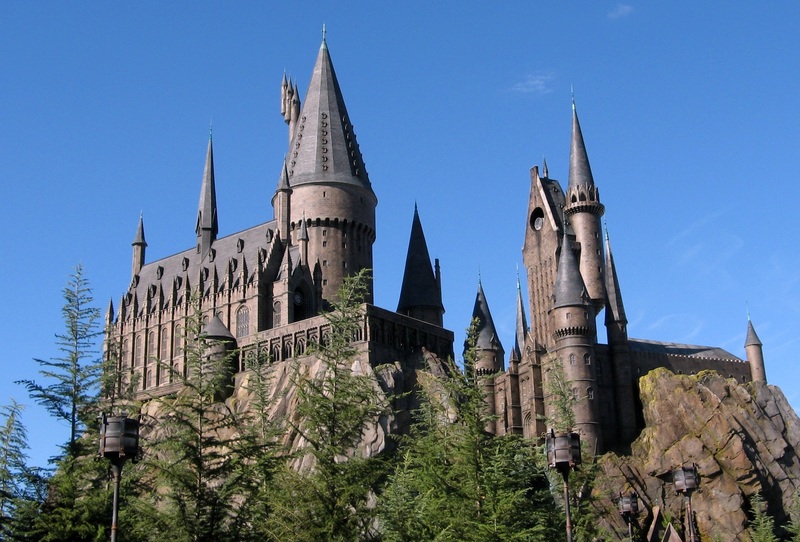 Yesterday I discussed how fantasy world have kept me entertained since I was a child, but few worlds have stuck with me (or indeed many others), as the wonderful world of Harry Potter. It’s magical, it’s strange, it’s a little bit dangerous – but all in all, it’s thoroughly entertaining. Through all of the books and all of the films, the UK and the rest of the world have been treated to a magical delight with this title. Those of you who haven’t read Harry Potter or at least seen the films, I just ask that you make it a promise that you will at some point read one of the books, as they’re wonderfully written. They were written for the kids who grew up with it in mind: They were written from easy, to hard. They were written with the characters in mind and of course, the people who grew up with Harry Potter would notice the books get “harder to read” (from an educational perspective) as time progresses. The world of Harry Potter is a world full of Muggles, Half-Bloods and Full-Bloods, Trolls and Giants, Arachnids and Boggarts. It’s a world full of wonderfully complex characters and some interesting choice of beverages. So it’s with this in mind, I figured I’d do what I can to make this one a truly magical night for all who attend. The Old Market Tavern venue have agreed to decorate the venue in the four house colours of Harry Potter, with different sections of the bar being decorated with different house colours for the night. After some discussion, we’ve agreed to have decorations around the pub: An owl will be present! Not only that, but the venue have kindly agreed to make a batch of the brew that they drink in the world of Harry Potter: Butterbeer. This non-alcoholic beverage is a sweet delight to all who get to try it. It’s going to be a limited supply, so if you’re planning on joining us for the day, please do come along early to get yourself a glass of the good stuff – It’s going to sell out quicker than you can spend your galleons*. But that’s not all we’ve got in store for everyone at our Harry Potter themed event. From Quidditch replicas to people dressed in their house colours, this is going to be a very visual experience. First Place: A wizards/witches wand, £25 cash, 3 Steam games and a GeekOut poster of your choice. Second Place: A time turner, £15 cash, 2 Steam games and a GeekOut poster of your choice. Third Place: A Golden Snitch necklace (if it arrives on time! ), £10 cash, 1 Steam game and a GeekOut poster of your choice. If two or more people tie for the same amount of points which would put them in one of the above positions, they will go on to some additional rounds where it’s simply a rapid fire “first-to-five”. Whoever gets 5 points first by making a buzzing noise and calling out the (correct) answer will win the point. Get 5 points and they win the position they’re vying for. If first prize is contested by 3 people, these three will make up first, second and third place, depending on the quick-fire rounds at the end. Simple, right?! As always, let us know what you think in the comments below, or over on Facebook, Twitter or Reddit. Let us know if we’re doing things the way you’d like to see them be done at a geeky meetup, or if you think we’re missing the Golden Snitch somewhere. What do you think of this months choice of theme? 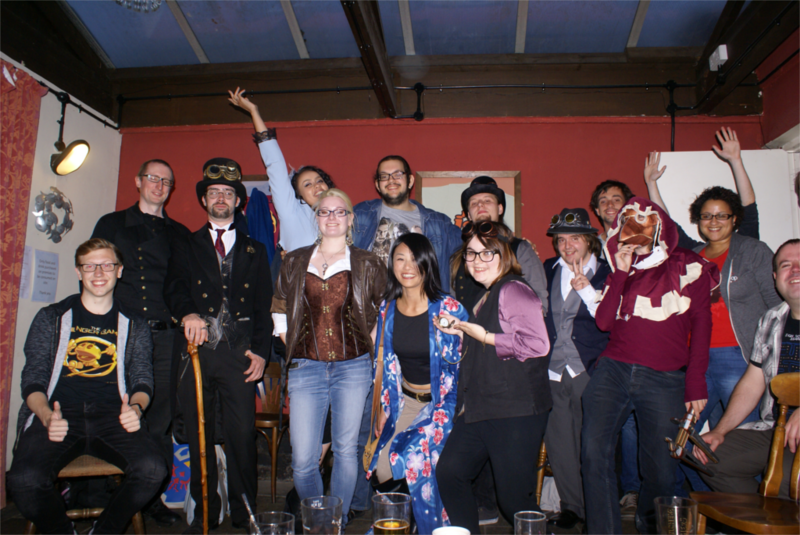 As always, thanks to joining us and we hope to see some of you at the GeekOut Bristol Meet – September 9th: HARRY POTTER! *That’s worth just under a fiver last time we checked! This entry was posted on August 29, 2016 by Timlah. 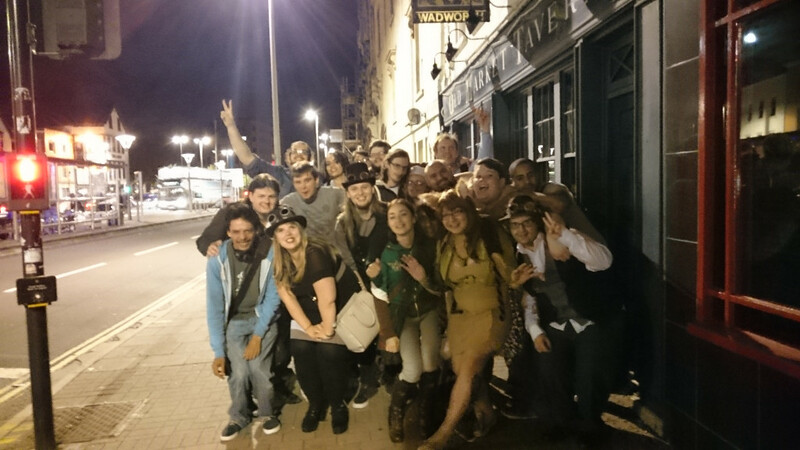 It was filed under GeekOut Meetups and was tagged with Bristol, Butterbeer, England, Geek Meet, GeekOut, Geeks in Bristol, Geeks in the UK, Harry Potter, Meetup, Old Market Tavern, Quidditch, Social, South-West, Things to do in Bristol, UK.